In 2015, we worked with the Barbican Theatre on a new theatrical production, set within the Elizabethan House. The aim was to transport visitors on a journey through time – from the magnitude of global exploration to the intimacy of the family kitchen. 30 young artists aged 16-25 from the Barbican’s Company b Theatre worked with heritage experts and theatre staff to research the house and its local area using the museums and archives for its research. Their findings were sculpted into a promenade theatre performance that travelled from the Barbican Theatre to the Elizabethan House, enabling audiences to experience the atmosphere and the lives and stories of some of the people who lived there. As well as creating a new way of illuminating Plymouth’s heritage and resulting in the production of a fresh new theatrical production, The Spice Box also provided 10 young people with professional experience in writing, producing, directing, arts management, historic research and marketing, and resulted in the group gaining 10 Arts Awards recognising their achievement in the arts. 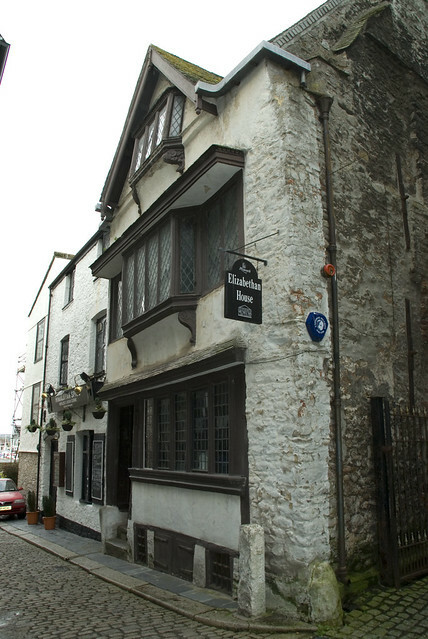 The Spice Box was able to influence planning for The Box, Plymouth and cultural planning for the 400th anniversary of the sailing of the Mayflower in 2020. All performances were sold out! You can see a digital legacy, with a film of the characters in the house. The Spice Box was a Barbican Theatre production created in partnership with Plymouth Museums Galleries Archives. The project was supported by The National Lottery Heritage Fund, Arts Council England and the Plymouth Waterfront Partnership.